Irish Mushroom Melt is melt-in-your-mouth fabulousness and fun way to celebrate St. Patricks Day! We love Fit Friday’s around here! Irish Mushroom Melt is made even more amazing with two kinds of cheese~ Dubliner Irish Cheese and Mushroom Brie combined with a saute of mushrooms and onion AND THEN we add Irish Horseradish! Ohhhhh baby. Irish Mushroom Melt makes my mouth water!!! We are Irish so anyway to celebrate St. Patty’s Day is a good way for us! We created this little number for St. Patrick’s Day 2018! Our hope is that you love it as much as we do! Yay!! Now Miss Nichole is sharing her fun plyo work out with us today! I thought I was going to be in luck this year with St. Patrick’s Day falling on a Saturday. No last minute scrambles to find something green. No frantic searches for green nail polish and green hair bows. No worrying about school craziness that would go with the day. I was wrong, but only a little wrong. The kids aren’t nearly as stressed about it, but the school is moving their activities to Friday. 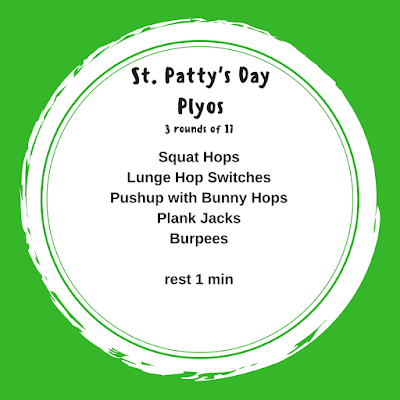 So today we are throwing in a quick plyometric workout. 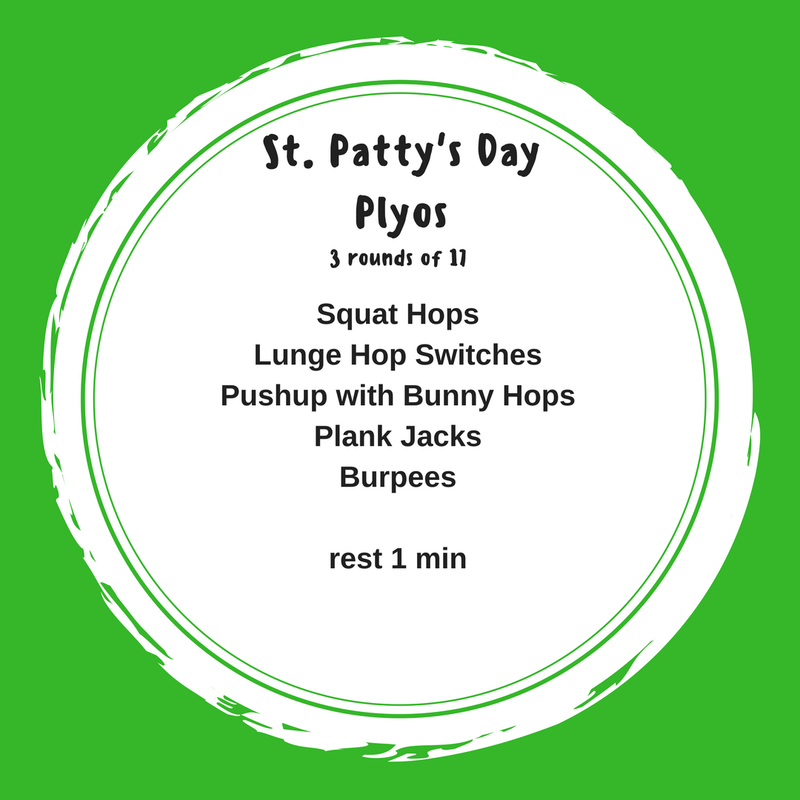 Plyometrics are all about explosive movements that get your heart rate going. This will be a shorter but intense workout that you can do on chaotic days or that you can add on to an existing day just because you are feeling a little intense. Remember to get in a solid warm up and cool down. Power is the name of the game here folks! Irish Mushroom Melt is a brilliant way to celebrate St. Patty’s Day! Remember to wear green! In a small saute pan add olive oil and warm, add onions; cook 2 minutes stirring. Add mushrooms; cook 2 minutes or until slightly softened; set aside. Preheat large skillet coated with cooking spray over medium heat. Spread 1/4 of butter on two sides of bread, place butter side down on skillet. Layer dubliner cheese, half of irish horse radish and half mushroom/onion saute, half of mushroom brie with sprinkling of sea salt; on each slice of bread on skillet. Spread remaining butter on remaining pieces of bread, place butter side up on sandwiches. Cook approximately 2-3 minutes until crispy and browned, carefully turn sandwiches over, repeat. If cheese has not completely melted, cover with lid, reduce heat to low and cook 2 minutes or until cheese melts and sandwich is warmed through. Serve with microgreens to garnish.